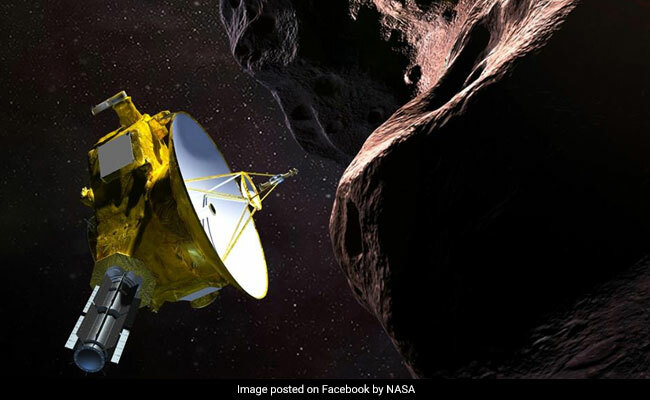 NASA said the orbit marks "a leap for humankind"
NASA rang in the New Year today with a historic flyby of the farthest, and quite possibly the oldest, cosmic body ever explored by humankind -- a tiny, distant world called Ultima Thule -- in the hopes of learning more about how planets took shape. About 10 hours earlier, NASA celebrated the New Year's flyby, as mission managers -- alongside kids dressed in space costumes -- blew party horns to mark the moment at 12:33 am (0533 GMT) when the New Horizons spacecraft aimed its cameras at the space rock four billion miles (6.4 billion kilometers) away in a dark and frigid region of space known as the Kuiper Belt. Images and data will start arriving later Tuesday, offering scientists the first up-close look at an ancient building block of planets, Bowman said.